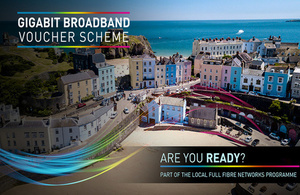 The UK Government’s Gigabit broadband vouchers – worth up to £2500 – are currently available to small businesses and surrounding local communities to contribute to the installation costs of a gigabit-capable broadband connection. Group projects are when two or more businesses get together – or businesses with residents – to combine their vouchers towards the cost of building the infrastructure for installation. Up to ten residents can get together with one business to create a group of community project.